This year half of the Nobel prize in Physiology or Medicine was awarded to May-Britt Moser and Edvard Moser, who happen to be both a personal and professional couple. Interestingly, they are not the first but rather the fourth couple to win the prize jointly: In 1903 Marie Curie and Pierre Curie shared the Nobel prize in physics, in 1935 Frederic Joiliot and Irene Joliot-Curie shared the Nobel prize in chemistry and in 1947 Carl Cori and Gerty Cori also shared the Nobel prize in physiology or medicine. It seems working on science with a spouse or partner can be a formula for success. Why then, when partners apply together for academic jobs, do universities refer to them as “two body problems“? The “two-body problem” is a question in physics about the motions of pairs of celestial bodies that interact with each other gravitationally. It is a special case of the difficult “N-body problem” but simple enough that is (completely) solved; in fact it was solved by Johann Bernoulli a few centuries ago. The use of the term in the context of academic job searches has always bothered me- it suggests that hiring in academia is an exercise in mathematical physics (it is certainly not!) and even if one presumes that it is, the term is an oxymoron because in physics the problem is solved whereas in academia it is used in a way that implies it is unsolvable. There are countless times I have heard my colleagues sigh “so and so would be great but there is a two body problem”. Semantics aside, the allusion to high brow physics problems in the process of academic hiring belies a complete lack of understanding of the basic mathematical notion of epistasis relevant in the consideration of joint applications, not to mention an undercurrent of sexism that plagues science and engineering departments everywhere. The results are poor hiring decisions, great harm to the academic prospects of partners and couples, and imposition of stress and anxiety that harms the careers of those who are lucky enough to be hired by the flawed system. I believe it was Aristotle who first noted used the phrase “the whole is greater than the sum of its parts”. The old adage remains true today: owning a pair of matching socks is more than twice as good as having just one sock. This is called positive epistasis, or synergy. Of course the opposite may be true as well: a pair of individuals trying to squeeze through a narrow doorway together will take more than twice as long than if they would just go through one at a time. This would be negative epistasis. There is a beautiful algebra and geometry associated to positive/negative epistasis this is useful to understand, because its generalizations reveal a complexity to epistasis that is very much at play in academia. 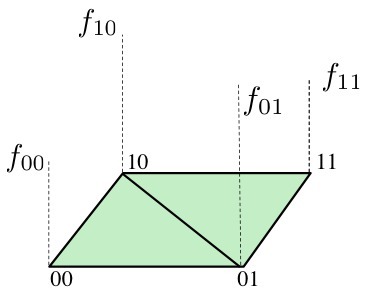 “The whole is greater than the sum of its parts”: the superior-inferior slice. “The whole is less than the sum of its parts”: the transverse slice. 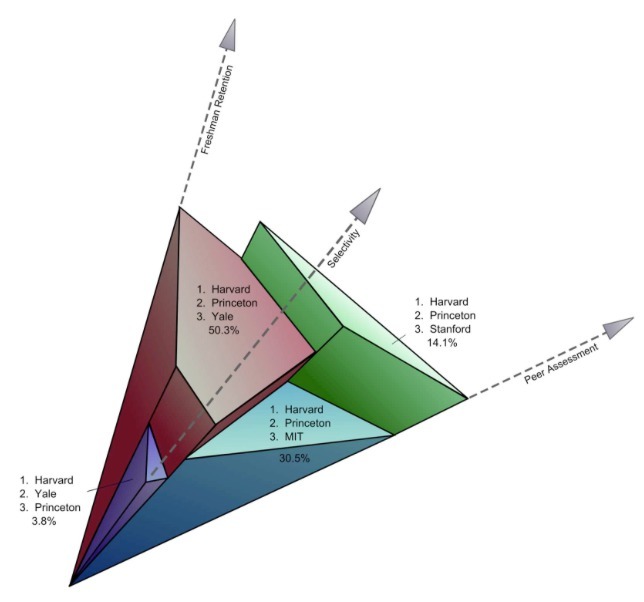 The point of the geometry, and its connection to academic epistasis that I want to highlight in this post, is made clear when considering the case of . 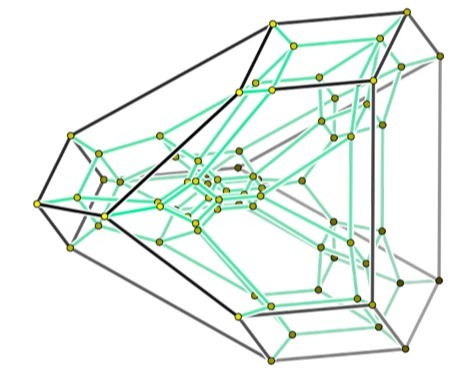 In that case the number of different types of epistatic interactions is given by the number of triangulations of the 4-cube. 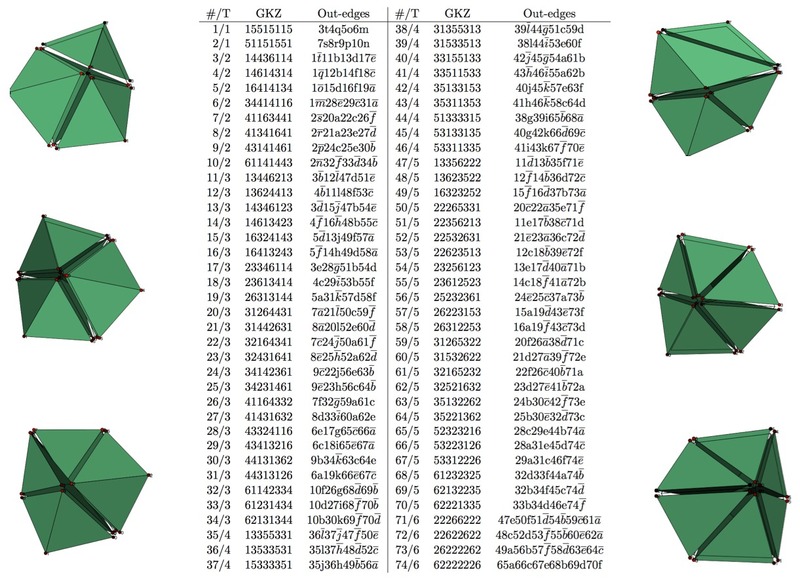 There are 87,959,448 triangulations and 235,277 symmetry types! In other words, the intuition from two parts that “interaction” can be positive, negative or neutral is difficult to generalize without math, and the point is there are a myriad of ways a faculty in a large department can be interacting both to the benefit and the detriment of their overall scientific output. In many searches I’ve been involved in the stated principle for hiring is “let’s hire the best person”. Sometimes the search may be restricted to a field, but it is not uncommon that the search is open. Such a hiring policy deliberately ignores epistasis, and I think it’s crazy, not to mention sexist, because the policy affects and hurts women applicants far more than it does men. Not because women are less likely to be “the best” in their field, in fact quite the opposite. It is very common for women in academia to be partnered with men who are also in academia, and inevitably they suffer for that fact because departments have a hard time reconciling that both could be “the best”. There are also many reasons for departments to think epistaticially that go beyond basic fairness principles. For example, in the case of partners that are applying together to a university, even if they are not working together on research, it is likely that each one will be far more productive if the other has a stable job at the same institution. It is difficult to manage a family if one partner needs to commute hours, or in some cases days, to work. I know of a number of couples in academia that have jobs in different states. If we can classify epistasis for chickens in order to understand them, we can certainly assess the epistasis outlook for our potential colleagues, and we should hire accordingly. It’s time that the two body problem be recognized as the two body opportunity. In my previous blog post I discussed the genetics of Icelanders, and the fact that most Icelanders can trace their roots back dozens of generations, all the way to Vikings from ca. 900AD. The country is homogenous in many other ways as well (religion, income, etc. ), and therefore presents a stark contrast to the other country I visited this summer: Israel. Even though I’ve been to Israel many times since I was a child, now that I am an adult the manifold ethnic, social and religious makeup of the society is much more evident to me. This was particularly true during my visit this past summer, during which political and military turmoil in the country served to accentuate differences. There are Armenians, Ashkenazi Jews, Bahai, Bedouin, Beta Israel, Christian Arabs, Circassians, Copts, Druze, Maronites, Muslim Arab, Sephardic Jews etc. etc. etc. , and additional “diversity” caused by political splits leading to West Bank Palestinians, Gaza Palestinians, Israelis inside vs. outside the Green Line, etc. etc. etc. (and of course many individuals fall into multiple categories). It’s fair to say that “it’s complicated”. Moreover, the complex fabric that makes up Israeli society is part of a larger web of intertwined threads in the Middle East. 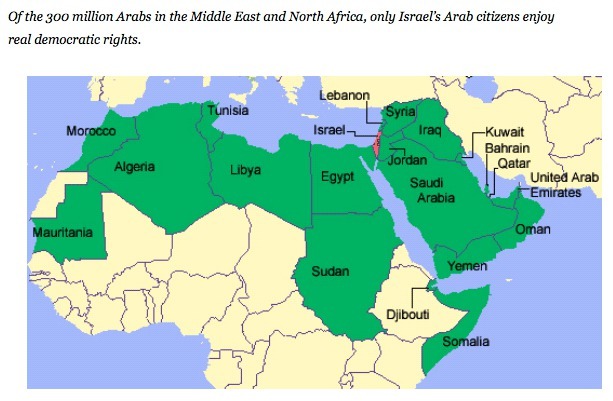 The “Arab countries” that neighbor Israel are also internally heterogeneous and complex, both in obvious ways (e.g. 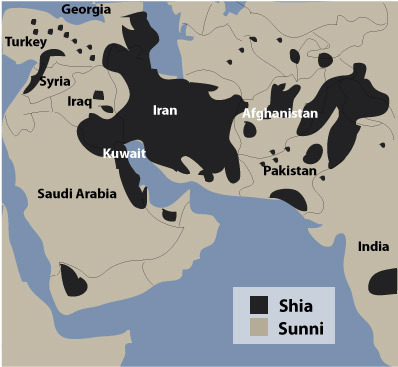 the Sunni vs. Shia division), but also in many more subtle ways (e.g. language). In many cases the images being passed around were explicitly encouraging a “one-dimensional” view of the conflict(s), whereas in other cases the “us” vs. “them” factor was more subliminal. The feeling that I was being programmed how to think made me uncomfortable. Formally, in Kruskal’s notation, given a dissimilarity map (symmetric matrix with zeroes on the diagonal and nonnegative entries), the goal is to find points x in so that their pairwise distance match in rank. In Kruskal’s Figure 4, points on the plot correspond to pairs of points in and is shown on the y-axis, while the Euclidean distance between the points, represented by , is shown on the x-axis. Monotonically increasing values are then chosen so that is minimized. 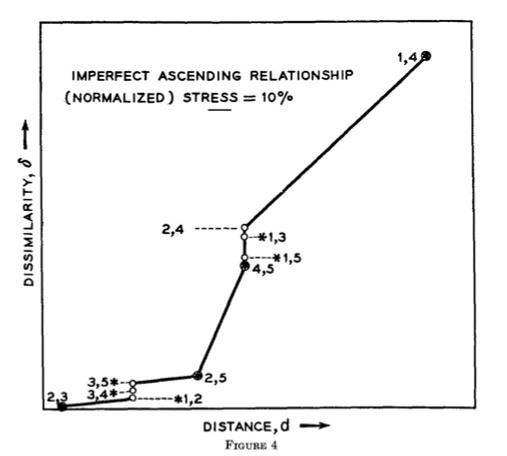 The function S is called the “stress” function and is further normalized so that the “stress” is invariant up to scaling of the points. An iterative procedure can then be used to optimize the points, although results depend on which starting configuration is chosen, and for this reason multiple starting positions are considered. 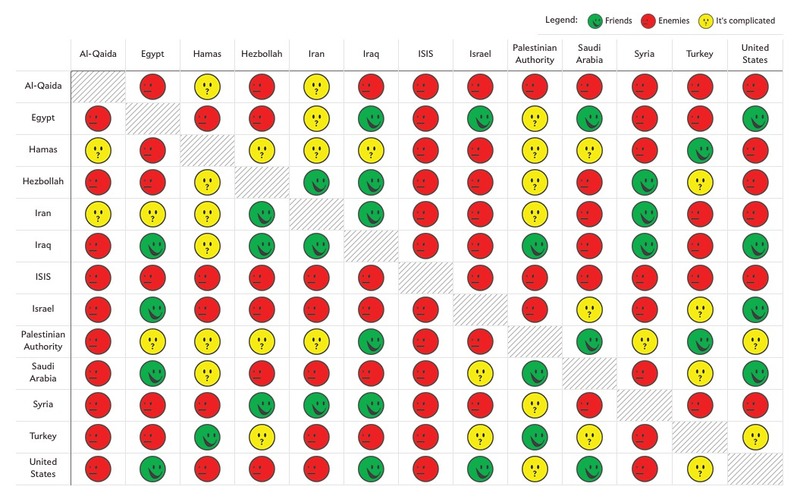 It is evident that, as expected from the friendship matrix, ISIS is an outlier. One also sees some of “the enemy of thine enemy is thy friend”. What is interesting is that in some cases the placements are clearly affected by shared allegiances and mutual dislikes that are complicated in nature. For example, the reason Saudi Arabia is placed between Israel and the United States is the friendship of the U.S. towards Iraq in contrast to Israel’s relationship to the country. One interesting question, that is not addressed by the non-metric MDS approach, is what the direct influences are. 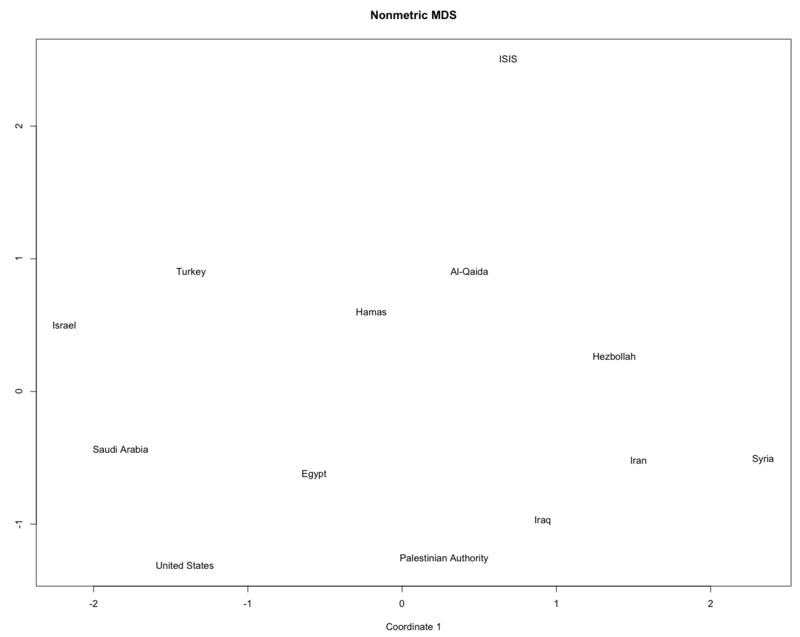 For example, it stands to reason that Israel is neutral to Saudi Arabia partly because of the U.S. friendship with the country- can this be inferred from the data in the same way that causative links are inferred for gene networks? In any case, I thought the scaling was illuminating and it seems like an interesting exercise to extend the analysis to more countries/organizations/entities but it may be necessary to deal with missing data and I don’t have the time to do it. I did decide to look at the 1D non-metric MDS, to see whether there is a meaningful one-dimensional representation of the matrix, consistent with some of the maps I’d seen. As it turns out, this is not what the data suggests. The one-dimensional scaling described below places ISIS in the middle, i.e. as the “neutral” country!